NEST Jewelry malachite and horn earrings. Polished yellow gold posts and hardware. 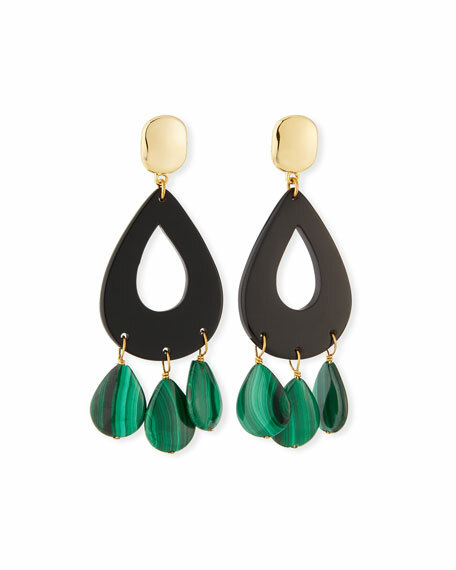 Black horn teardrop and malachite drops.